Join us at 7pm on Thursday, Feb 7th at the Best Western Mountain Lodge in Fernie. 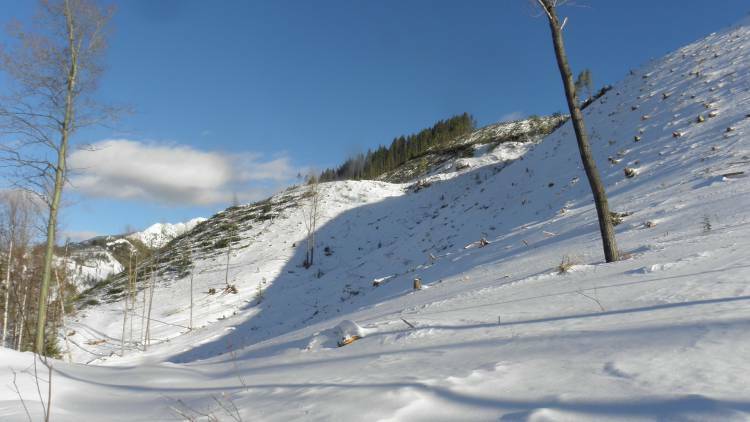 In the Elk Valley, a third of the landscape is in private hands and one eighth is private forest owned by Canwel—which is very different from most of the rest of the province, where forestry land is almost all crown land. Owners of private managed forest get a big break on their taxes, but they barely have to follow any rules at all. Private managed forests can be clear-cut whenever the owner likes and they don’t have to take care of local trails or viewscapes or worry about wildlife. Come share your views with the community and learn how we can work together for more community control of our landscape, including Ridgemont and much more. We’ve invited Canwel to come tell the community about their future logging plans around Fernie, but they haven’t let us know if they’ll be there yet.